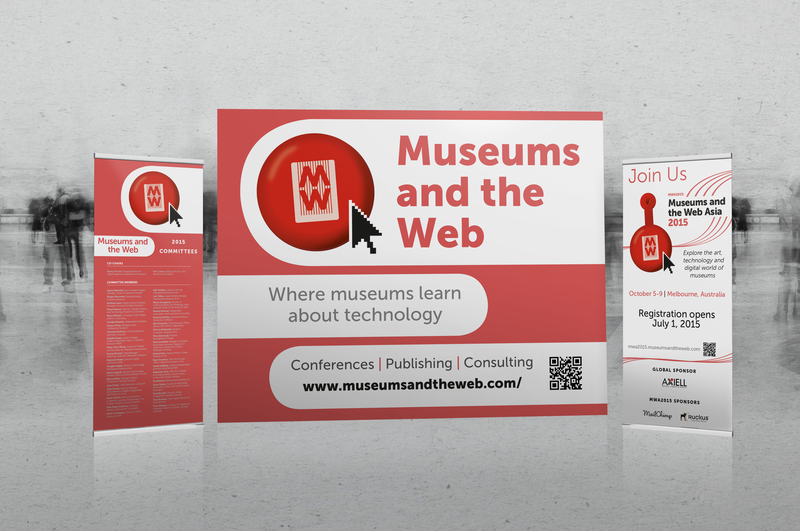 Many print items are required for the yearly Museums and the Web conference. This required working from the previous InDesign files and creating a new look and populating the documents with this years content. Items created for MWEB 2015 include: pull up banners, background, advertisements for other publications, book of journal papers, program, filler advertisements, table tent, name tags, ebook, epub, business cards, invitations to events.